In order to test Shopware Playground as realistically as possible, we have created a way for you to fill Shopware Playground with your own, familiar data. In this way you can gain a first insight into how your shop could look like as a Shopware Playground project and at the same time work as close as possible to your familiar production environment. Note that Shopware Playground may not be able to completely interpret all data, formats, or product types at this time. 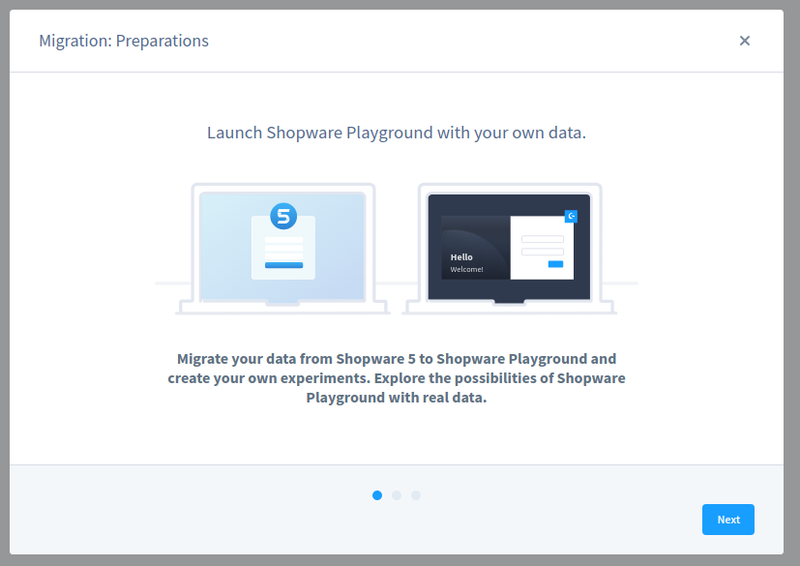 In this article we explain how to insert the most important data of your Shopware 5.5 shop into Shopware Playground, so that you can get started with your Shopware Playground project as quickly and realistically as possible. So that the data of your Shopware 5.5 shop can also be made available in Shopware Playground, some preparations are necessary. The most important thing here is the installation of the plugin Shopware Playground Connector. 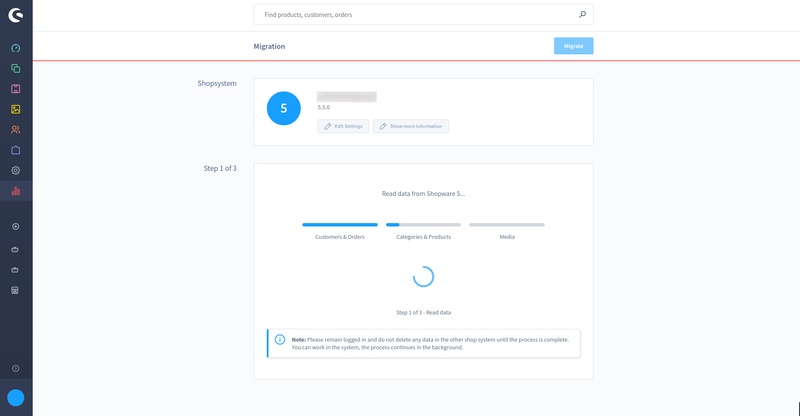 This plugin for Shopware 5.5 can be found in the Shopware Store, it must be installed and activated to create the appropriate endpoints for migration. Of course, for data transfer with the Shopware PlaygroundConnector you should have a Shopware backend user with active API access. 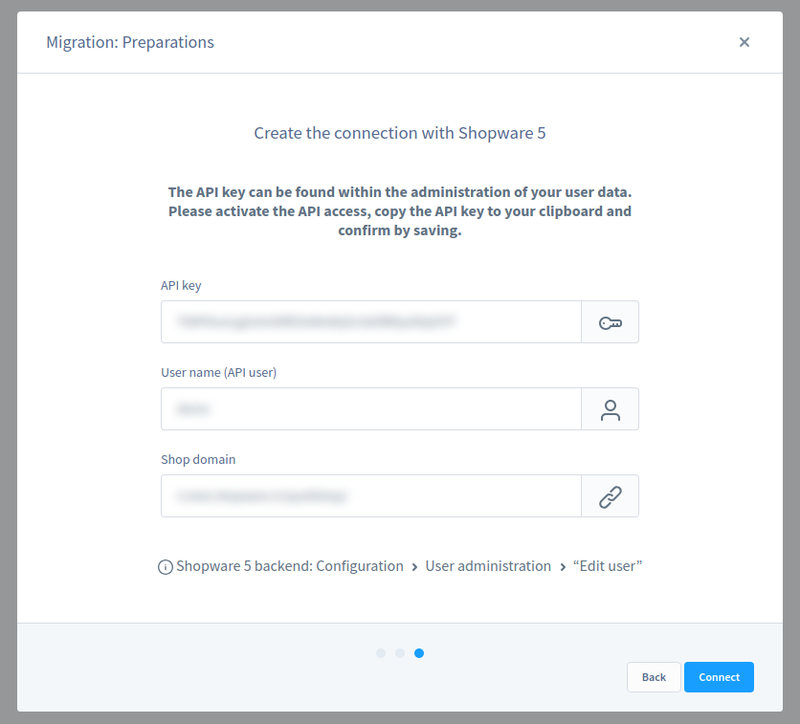 You need the API key to connect to your Shopware 5 shop in Shopware Playground. The user management containing this information can be found in Shopware 5 under > Configuration > User administration. You can change the configuration of the source shop at any time. 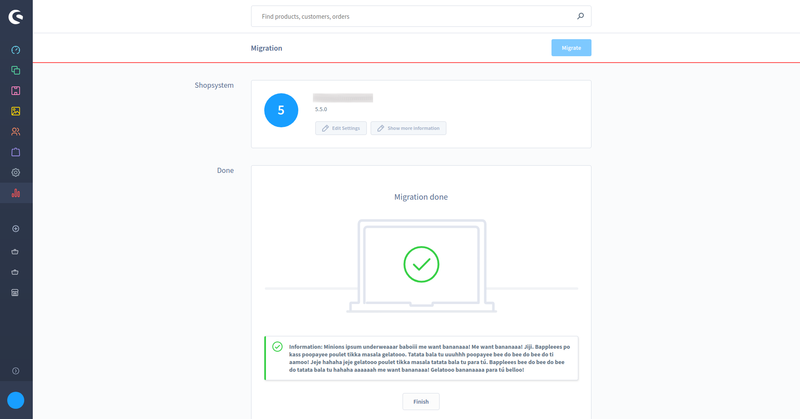 To do this, click on > Change settings in the migration overview to open the wizard. There you can change your shop settings and reconnect the shop. The Shopware Playground Connector will automatically welcome you the first time you start Shopware Playground and present you an installation wizard that will guide you through your first steps. If you want to come back to it later, you can find the Shopware Playground Connector in the > Menu under > Settings. By clicking > Next again you will get to the following view. 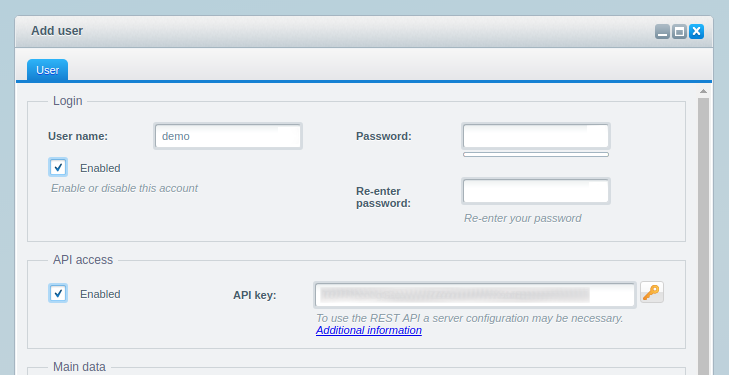 If you have made or copied the settings in Shopware 5, you will find the possibility to connect your shop with Shopware Playground in Shopware Playground Connector after another click on > Next. Here you can prepare the first connection attempt to your Shopware 5.5 Shop. At this point you need the data that you have determined from your Shopware 5.5 shop as described above. API key: Please enter the API key of the shop user that enables API access. User name (API user): Here you enter the user name of the user with API access. shop domain: In this field you enter the domain under which your shop is located. After clicking on> Connectyou will have successfully connected your Shopware 5 Shop with Shopware Playground and can start with the actual transfer of the data. You can of course transfer all areas directly, but it is also possible to select only individual areas and to migrate others in a subsequent run or to omit them completely. For the areas "Categories & Products" and "Media" you can already define in which catalog the data should be stored. After you have selected the areas to be transferred, you can start the transfer between Shopware 5.5 and Shopware Playground with a click on > Transfer. Hint! Please note that variants of a product are momentarily still recorded as independent products in Shopware Playground. This means when data is transferred, a separate product is created for each existing variant of a product. In practice, the variant article "Jersey red/yellow/green" becomes three individual products: "Jersey, red", "Jersey, yellow" and "Jersey, green"! In the course of the transfer, each step will be described to you in detail. First the data of the selected areas are read from your shop and then written into your Shopware Playground project. You can continue working in the administration during the transfer and e.g. open or save other modules. The transfer of data will continue in the background as long as you close the administration as a tab or are logged off in some other way. Finally, you will be informed whether the transfer has been completed or not. Click the button > Done to return to the overview.